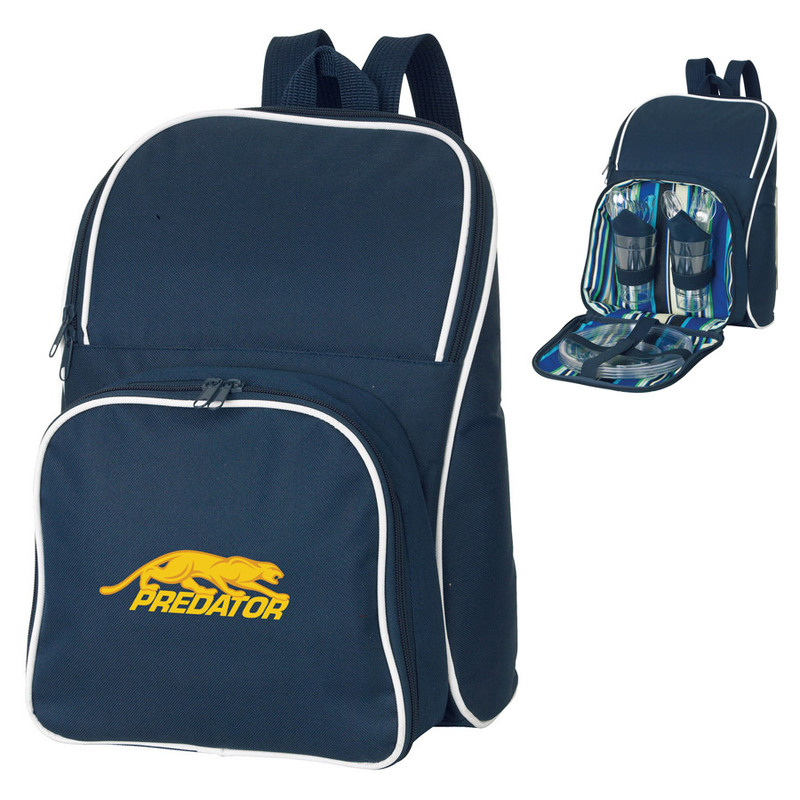 A 4 person setting backpack featuring your logo in single or full colour. These 4 person picnic backpack sets are economically priced for huge value! 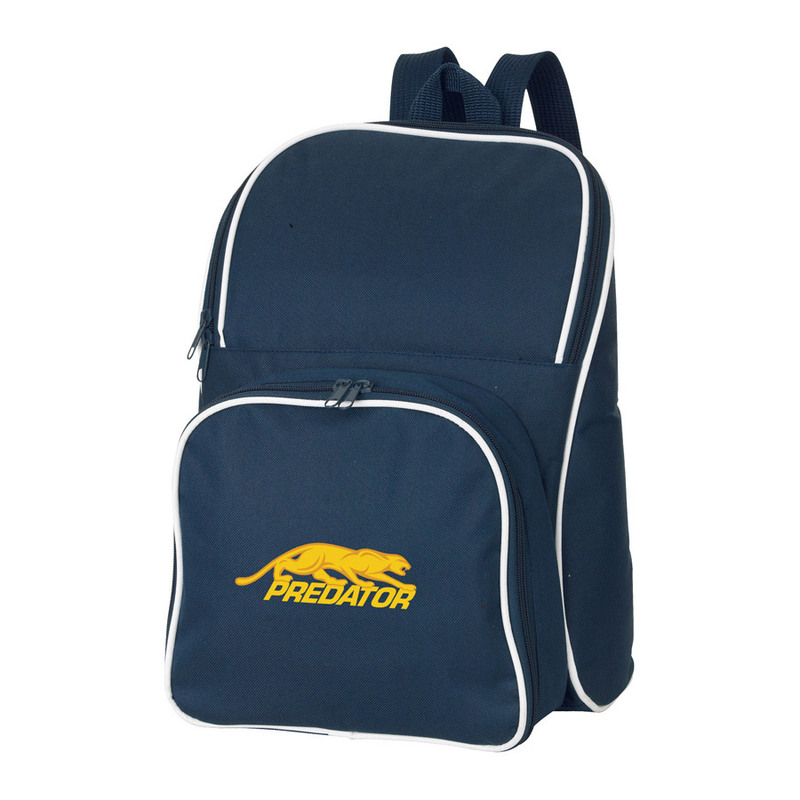 They are navy blue in colour with contrasting white trim and come included with a 4 person setting. They're super easy to transport and also contain: a large cooler bag compartment, carry handle and shoulder straps. They come supplied in a polybag and are decorated with a high quality print of your logo or message.